Creativity and business have always had to be paired in some sense in order for money to be made and bills to be paid. For every creative mind out there, there is someone who manages their finances and does the negotiating. They are often referred to as the “suits” and are the people who deal with all the adult stuff at the table. This sort of partnership applies even to the small players who have built a small following they would like to monetize. Influencers are subject to the same fees everyone else is, but there is finally coming a time when this business model can see a change. In order for influencers to get connected to advertisers, someone needs to put them in touch. Intermediaries make vast amounts of money from these services in almost any industry you can name – finance, real estate, entertainment, etc. – but with all the new innovation occurring in the world, this won’t always be true. Many influencers feel like they are getting “skimmed” by a business tax of sorts when they have to pay a large percentage of their earnings out to someone who acts as an agent to them, but there are no current alternatives. It does take time to develop the network necessary to know many advertisers and influencers at the same time, but isn’t that what the Internet is for? You can search people, hotels, and businesses up, and find them with ease, so this should ideally be possible for influencers. What it takes to change an industry norm like this is someone on the inside who is frustrated with the current way things are done. Atsushi Hisatsumi is a Japanese based influencer who has decided to turn entrepreneur in order to change the way influencers do business. He saw that there was a need for change within the market and figured out that it could be executed with the help of blockchain technology. Ethereum-based smart contracts are the perfect building blocks for a decentralized “exchange” of influencers. Rather than having every potential advertiser go to an agent to put them in touch with an influencer, Hisatsumi would have both parties interact through the PATRON platform, which he is in the process of creating. On PATRON, users exchange PAT (PATRON coins) for services. This allows for better cross-border facilitation and more fluent networking, both of which supersede any of the options previously available. Intermediaries were often not even capable of dealing cross-border and their networks were limited to the number of people they had previously connected with. PATRON creates an environment where advertisers are paying less but getting a way wider array of options for who advertise through. Not only will this benefit current influencers, but it will lower the barriers to entry that prevent lower-scale influencers from entering the market. To fund a project like this, PATRON will need money. This is why they are running an ICO which is set to start next week. On February 14th, the Pre-ICO will open up, and then on March 1st, the public sale will begin. The goal of the ICO is to raise enough money to fund the development of the applications and protocols and to make sure they have the seed money necessary to expand their recruiting into Silicon Valley. However, the more exciting part of the fundraising is how PATRON plans to build partnerships with influencers by setting up studios with them. This shows a long-term concern for the people who are both their products and their customers at the same time. But this is what happens when you have someone trying to bring about change from the inside. 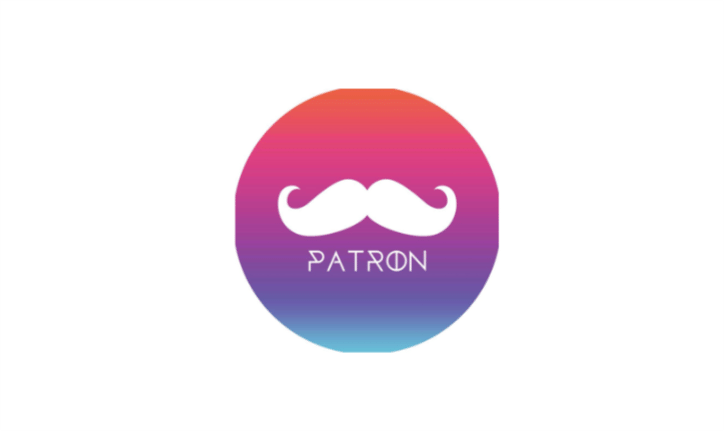 Any YouTuber, blogger, or Instagrammer out there who has developed a following and wants to figure out how to monetize it is going to benefit greatly from the innovations that are going to come from PATRON.